Teachable characters can enhance entertainment technology by providing new interactions, becoming more competent at game play, and simply being fun to teach. It is important to understand how human players try to teach virtual agents in order to design agents that learn effectively from this instruction. 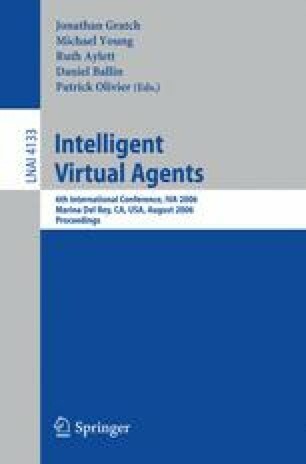 We present results of a user study where people teach a virtual agent a novel task within a reinforcement-based learning framework. Analysis yields lessons of how human players approach the task of teaching a virtual agent: 1) they want to direct the agent’s attention; 2) they communicate both instrumental and motivational intentions; 3) they tailor their instruction to their understanding of the agent; and 4) they use negative communication as both feedback and as a suggestion for the next action. Based on these findings we modify the agent’s learning algorithm and show improvements to the learning interaction in follow-up studies. This work informs the design of real-time learning agents that better match human teaching behavior to learn more effectively and be more enjoyable to teach.